Phi Phi Hotel packages by Easy Day Thailand. Phi Phi Islands is a popular tourist destination in southern Thailand and became famous through the Hollywood movie” The Beach”, which was filmed on one of Phi Phi Island most beautiful beaches. 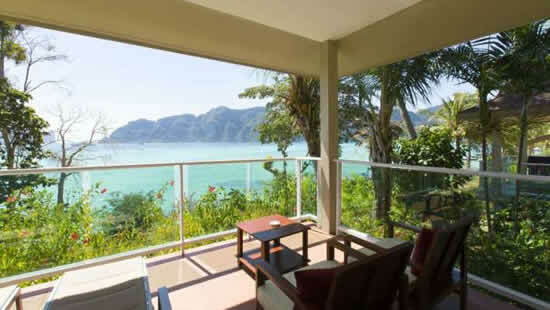 Let us organize your stay in Phi Phi Island. All Phi Phi Island Hotel Packages include Ferry Transfers from Krabi, Accommodation and a Private Sightseeing tour to Phi Phi Islands Maya Bay, which became famous through the Hollywood Movie “The Beach”. 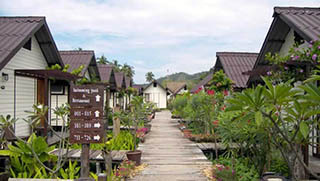 The Phi Phi Bay View Resort is located on East side of Tonsai Bay, just 15 minutes walking to Tonsai Village main center. One of few Phi Phi Hotels that is directly on the beach. Phi Phi Natural Resort is located on the secluded and beautiful Leam Thong Beach at the Northen Tip of Phi Phi Don Island. Enjoy a tranquil stay at the remote resort, a little corner of Paradise. The Legacy Resort offers a warm welcome from their “sense of service” team and recreation facilities to help you enjoy your special time on Phi Phi Island. Great value for money. Phi Phi Hotel is located in the center of Phi Phi Island with easy access from Tonsai Pier where the ferries arrive and depart. Tonsai village and the night bazaar are only a 2 minutes walk away. 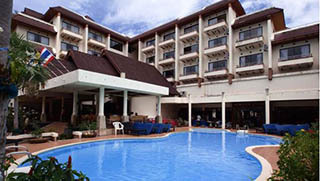 A comfortable and convenient resort on the beach. 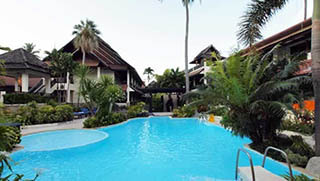 Phi Phi Banyan Villa offers a swimming pool with pool bar service and numerous good restaurants. Great value for money. 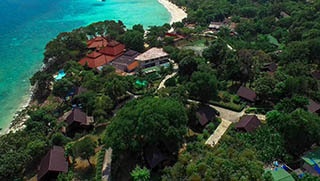 The “Little House” is just a stones-throw away from the beautiful white sandy Loh Dalum Bay. Conveniently located at short walking distance from all the restaurants & bars in Phi Phi Don.